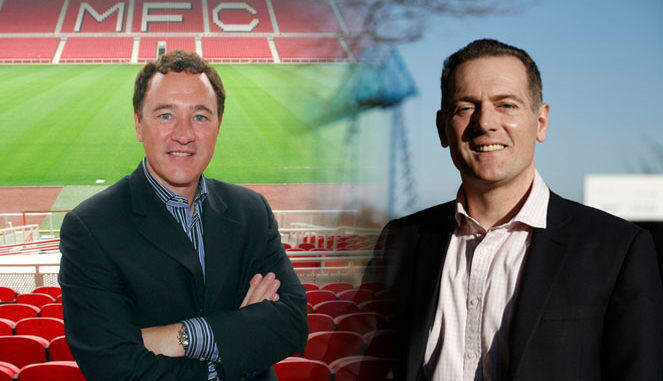 High-profile Tees businessmen Steve Gibson and Andy Preston have revealed who they’re backing in the Tees Valley Mayoral race – and they don’t agree. Teesside will vote for its first elected mayor on May 4, with Labour candidate Sue Jeffrey, the Conservative Party’s Ben Houchen, UKIP’s John Tennant and Chris Foote-Wood from the Lib Dems all vying for the job. Boro supremo and former Labour councillor Gibson has publicly backed Jeffrey as the “woman with the experience needed”. But investor and charity leader Preston, who ran as an independent in the Middlesbrough Mayoral election two years ago, has given his support to Tory candidate Houchen’s “fresh new ideas”. Gibson and Jeffrey already work together on the South Tees Development Corporation, the body set up after the collapse of the steel industry. The Bulkhaul boss said: “I have worked alongside Sue and seen first hand her dedication to the Tees Valley. “We share a commitment to ensuring our area has a strong future ahead of it, and I know Sue can bring people together to work on that goal. “Her determination to create jobs and grow business is exactly what makes her such a strong voice for the Tees Valley. Preston, who came within a few votes of being elected as an independent Mayor of Middlesbrough in 2015, takes a different view ahead of the election next Thursday. He said: “Devolved power in Tees Valley means we’ll soon have a powerful elected Mayor who’ll speak for us all – but because local issues are already dominated by Labour Council leaders, voting for a Labour mayor won’t bring in any extra passion or new plans. Today our Government’s Conservative, and the Conservatives are even winning by-elections in Middlesbrough – so now is the right time to rebalance our local politics. “I’m urging broadminded Labour voters to consider lending Ben their support, just as they did for me in Middlesbrough two years ago.